Powershop Offer - Get Guaranteed Savings & $150 Free Power Now! Powershop Offer - Get Guaranteed Savings & $150 Free Power Now! This offer is for new customers only. You will not be eligible to receive this sign up credit if you or anyone else residing at your property has received credit for signing up to Powershop within the last 12 months. To receive the $150 worth of free power, you need to join Powershop via this page while it is visible. Once you’ve been switched to Powershop, we will credit your account with $25. 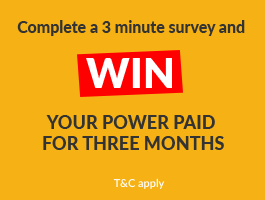 You’ll then receive a $10 credit in each of your 10 following monthly account review periods, and a final credit of $25 in the final account review period of your first year as a Powershop customer. The 12 sign up credits, worth a total of $150, are only available to cover the cost of your electricity with Powershop and cannot be refunded or redeemed for cash. If you switch away from Powershop within 12 months of becoming a customer then you forfeit your right to any remaining credits that would have been due under this promotion. Powershop may, at its sole discretion, either decline to apply, or remove any sign up credit granted, where it reasonably believes that a customer or other residents at a property have already received a sign up credit for that property within the last 12 months.